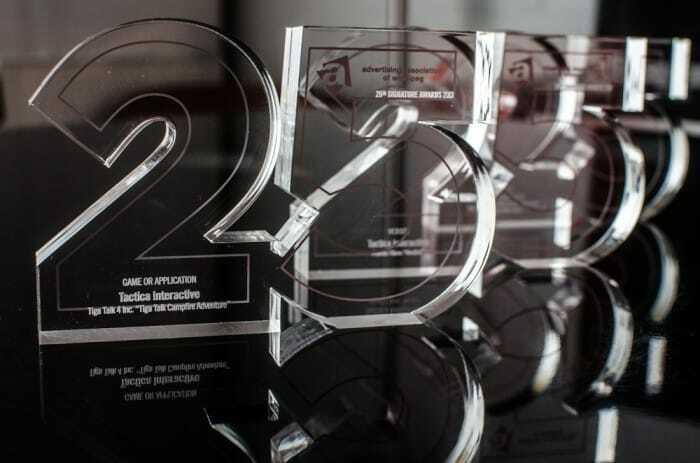 It was a big night for Tactica Interactive at the 2013 Signature Awards held May 9 in Winnipeg, Manitoba with three awards and a runner-up certificate. Verdict won in the Website category and took runner-up in Interactive. The series is produced by Gemini Award-winning Frantic Films and online by Tactica Interactive. Tiga Talk Campfire Adventure, a game for iPhone and iPad, won the award in both the Interactive and Game or Application categories. Thanks, Ad Winnipeg, for the recognition and support. Thanks as well to the great people at Frantic Films and Maystreet Productions for bringing these great projects to us.